Peut-on évaluer la valeur d’une organisation en se fiant uniquement au prix de ses actions ? Voici un article très intéressant qui montre qu’on ne peut pas évaluer une entreprise uniquement en prenant en compte la valeur de ses actions, au moment présent. Cet article publié par John Rekenthaler*, et paru sur le site de Morningstar.com, montre que l’actionnaire n’est pas le seul maître à bord et que les dirigeants doivent considérer plusieurs autres parties prenantes dans l’établissement de la valeur d’une organisation. La société civile doit aussi se rallier à cette idée. Les arguments développés dans cet article indiquent que la contre-attaque des tenants de la bonne gouvernance est en marche … et qu’ils auront probablement gain de cause ! Je vous invite à lire l’extrait ci-dessous et à consulter l’article pour plus de détails. Qu’en pensez-vous ? Bonne lecture ! Over the past two years, the barrage has intensified. Both The Wall Street Journal and The New York Times have published articles criticizing shareholder value, the Times on multiple occasions. The discussion has gone thoroughly mainstream. It also is making its way into money-management circles–an audience that historically has been among the strongest supporters of shareholder value. Earlier this month, James Montier of GMO published a white paper calling shareholder value “the world’s dumbest idea. » He assembles several charts in support of his contention that the practice damages the long term by overemphasizing the short term. Montier’s recommendation is the same as Stout’s: acknowledging that companies have multiple constituencies. Two questions: Will the backlash strengthen and, if so, what might that mean for investors? For the first question, a tentative yes. The current orthodoxy has been in place for several decades. While it has not been proved wrong, neither has it made a convincing case for itself. Yes, many particularly slow-growing and asset-rich companies have been transformed through the notion of shareholder value–often with excellent benefits for stock owners (although not necessarily for those companies’ employees). But it’s not clear that the typical firm has fared better by having its managers constantly measured by stock-market returns. Thus, the questions will continue. As for the second question, I suspect the answer is « not much in aggregate. 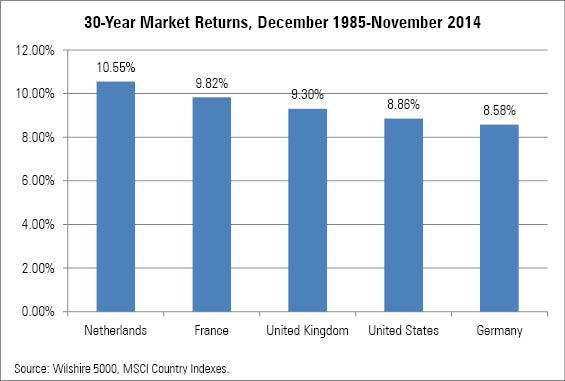 » Some companies likely will perform less well, as their managements relax when not having their feet held to the fire. Others likely will meet Montier’s expectations by improving their prospects through increased investment, as managements will be willing to take more chances on long-term investments. Overall, then, I would expect that a change in the shareholder-value mind-set would not much affect U.S. stock-market averages. It is possible, however, that it might improve the prospects of active mutual fund managers. If corporate managers are afforded more freedom to reward (and hire) employees, increase capital investment, and/or purchase more businesses, then they have more rope with which to either create something of value or hang themselves. Perhaps the astute fund manager will be able to distinguish between the bad and good corporate managements. Perhaps. It’s only a wink of hope, but after the annus horribilis for active managers that was 2014, a wink is as good as a nod. *John Rekenthaler has been researching the fund industry since 1988. He is now a columnist for Morningstar.com and a member of Morningstar’s investment research department. « Qu’est-ce que l’investissement socialement responsable ?